For over a decade, the Ford Edge has provided a reliable mid-size vehicle option for families all across North America. Over time, the Edge has evolved into a modern SUV, with a lot of today’s best performance and driving technologies moving it even further into the future. Learn more about how the Ford Edge has changed throughout the decade, here at Kentwood Ford—your north Edmonton Ford dealer. Introduced at the 2006 Detroit Auto Show, the Edge immediately made its mark on the SUV market. It initially launched with a Duratec V6 engine which produced 265 horsepower and 250 lb-ft of torque, while a more advanced version was released in 2011 along with the first EcoBoost® engine available for the model. Each engine also came paired with a 6-speed automatic transmission standard for every model. Along the way, the Edge also garnered several honours and awards throughout its initial production, including the IIHS “Top Safety Pick” rating, “2007 Urban Truck of the Year” by On Wheels, Inc., J.D. Power and Associates’ 2007 “APEAL Award”, as well as being recognized as one of “Best Cars for Families” in 2007 by AAA and Parents Magazine. 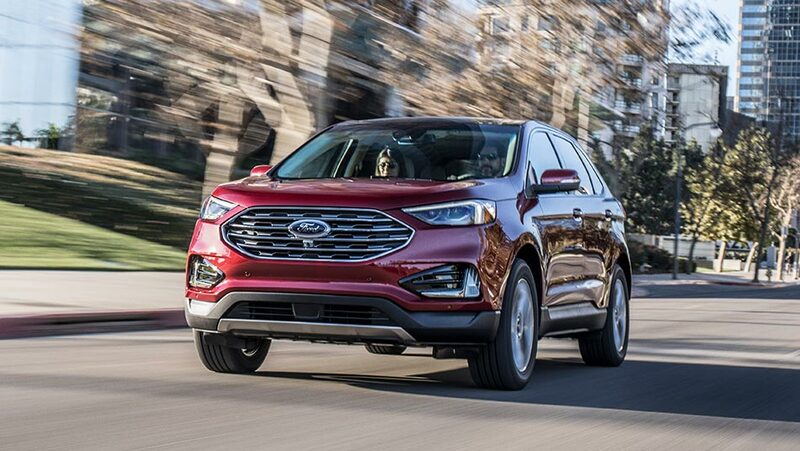 The latest iteration of the Ford Edge brought with it a lot of welcome design changes to give it a more modern flair, including new headlights, LED taillights, bigger interior space, a rearview camera, and a new grille similarly found on newer Tauruses and Explorers. Additionally, every second-generation Ford Edge came standard with an EcoBoost® engine, starting with the Twin-Scroll 2.0L version. Continuing with tradition, the second generation Edge also won several awards throughout the years, including several high scores on the National Highway Traffic Safety Administration’s (NHTSA) Crash Test Ratings. More specifically, the 2016 Edge received five-star ratings on Frontal Driver, Frontal Passenger, and Side Impact crash tests, making it one of the safest SUVs to drive on the market. This year, the 2019 model experienced a mid-cycle refresh, giving it even more design changes including new aluminum-alloy wheel options, colour options, and the choice to add a 12-speaker Bang & Olufsen B&O Play premium audio system. But the most notable change for the 2019 Edge comes in the form of the brand-new ST model replacing the long-time Sport version, with an all-new twin-turbocharged 2.7 L EcoBoost® V6 engine with 335 horsepower. 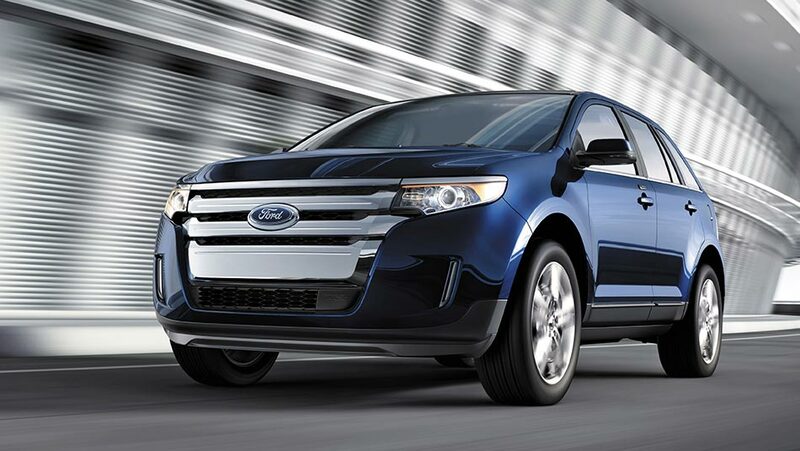 Test Drive the Ford Edge, today!